The Drudge Report - Intermarkets Inc. 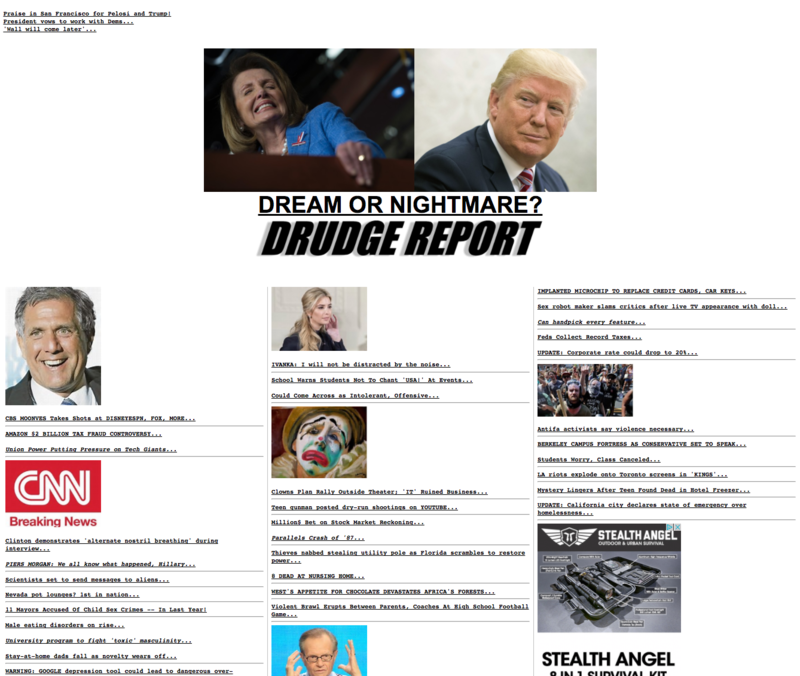 The Drudge Report is published by Matt Drudge, who established himself as an early pioneer on the Web, covering news and events that the mainstream media ignores. He continues to deliver lively and provocative content to millions of people every day. The Drudge Report is a primary source of breaking news for the public as well as key media, political and opinion leaders. The Drudge Report drives more news traffic than Twitter or Facebook. When advertising on The Drudge Report, this allows you to reach a more robust audience before they disperse and follow links elsewhere. 90% of the Drudge Report’s traffic is direct (industry average 37%). You’ll reach first-hand, dedicated readers much more than on most other news sites. The Drudge Report readers spend an average of 25 minutes or more on the site.